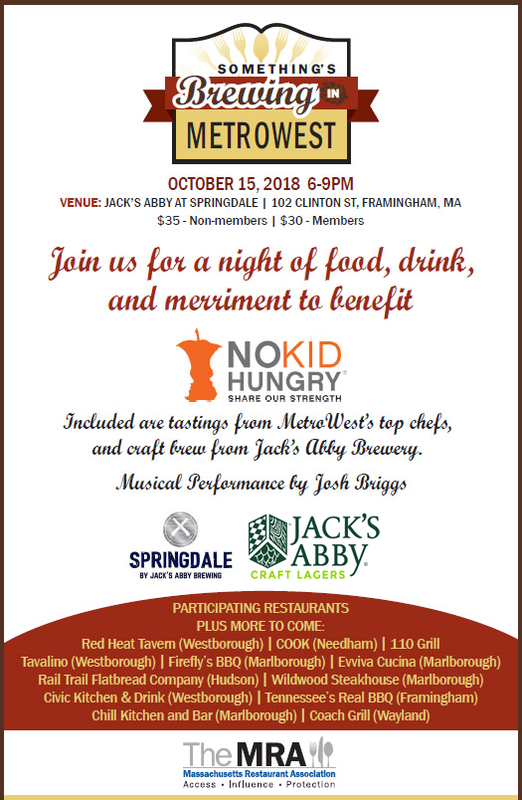 Check out Something’s Brewing in MetroWest on October 15, 2018 from 6:00 PM – 9:00 PM located at Jack’s Abby. Come support COOK. Restaurants and No Kid’s Hungry for a night of top chefs and craft brews. Each chef will have a tasting to pair with a Jack’s Abby brew. Non-MRA members are $35 | MRA members $30.